If you are the bread winner for a growing family and are lucky enough to occasionally earn a small bonus or a commission you will soon learn not to plan on spending that bonus or commission before you receive it, for most of my life every time I earned a bonus or commission on which I had designs, the unexpected occurred, braces for the kids, school books, back to school clothes, a school trip, a broken washing machine or oven, or a need to replace the family car. It was always as if a supreme being were giving me the money because he knew I would need it, and usually it had little to do with what I had planned. Well, if I were “smart” and had calculated my taxes to accomplish the infinitesimal minimum withholding, that money would have been spent long before I got to April of the following year. It would not have stayed in the bank or in an investment account. Yes, it was a means of forced savings with a lousy return, but come April or May or June depending on how quickly refunds were issued we received a substantial check that sometimes covered one of those unexpected expenses or was substantial enough that we could use it to make an investment, like in the purchase of a house. It was a means that allowed us to pay our way without borrowing, and minimizing our debt. Getting a tax refund? Check out this tool that lets you follow what the big money managers are doing with their investments. 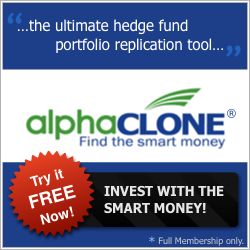 “Clone” their strategies with your money.Now the years over which I raised my family did not always provide for some of the options such as 401K’s as an alternative method of forced or structured savings. On the other hand we always knew, or thought we knew, the Government would refund our overpaid taxes – we could count on getting our money back. Now I read that the government is inquiring about taking our 401Ks and converting them to annuities in order to “redistribute the wealth” and cover their debt. I suppose it is possible they will do the same with our overpaid taxes. Until the day that we become concerned that the IRS might not return our overpaid taxes you should not feel guilty or stupid for using this method of managing your money, and if you look at the return on some of the 401K’s, or as many refer to them today, 201K’s you might have been better off saving your money with no loss of principal, with the IRS. You have to do what works for you and your family. As an example of the best financial approach not always being right for everyone, consider the following; not far into my career I learned about direct deposit as an option to get my money into the bank more quickly. I took advantage of that option but was surprised how many people would not use direct deposit. At the time I worked as an associate engineer at a large factory in the north east – an area where hunting was a big sport. The company continued to promote the direct deposit option as, of course, it also made it easier for them to distribute paychecks, but despite their many efforts they could not get participation above 50%, so they engaged in various surveys to determine the reason behind the reluctance. It turned out that many of the employees did not want their spouse to know when they got a raise, in order that they could use the raise to pursue their sport, be it hunting, bowling, fishing etc. They would cash their checks at a local watering hole or favorite establishment and not report the raise until some later time period. Now that is certainly an unorthodox money management approach, but we are people, for the good and the bad, we do what works for us, each an individual.